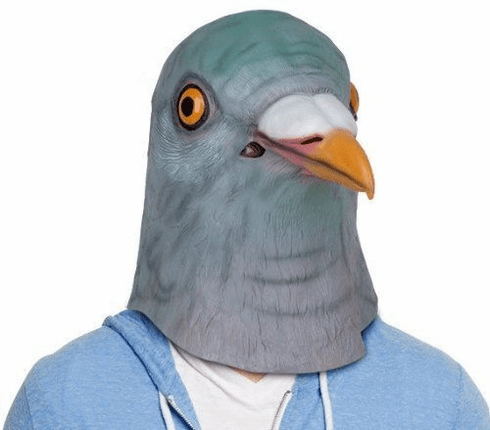 Wear this Pigeon Mask to sit on statues or beg for bread by a park bench. This latex mask is so amazingly realistic, your cat will think that one of its bird victims has risen from the grave to exact revenge. Buy a bunch so you and your friends can form your own flock. Fits most adult heads.